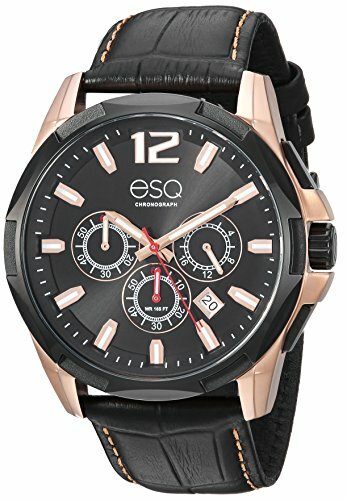 The men's ESQ 37ESQE140 chronograph watch features a textured black dial, 45mm stainless steel case with rose gold IP plating and black IP plated bezel, 22mm genuine leather strap with buckle enclosure, chronograph movement and 165 feet water resistance. Perfect for the fast paced lifestyle of today's man, each ESQ watch ships in a branded gift box and comes with a limited 2-year warranty. 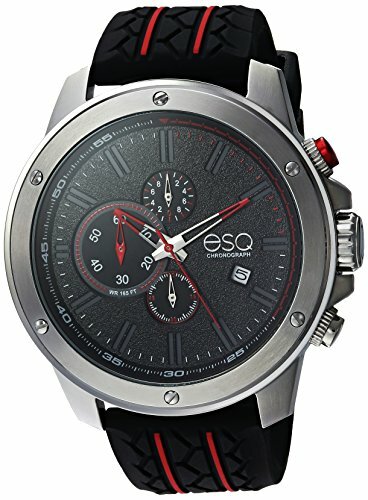 The men's ESQ 37ESQE210 chronograph watch features a textured black, red and silver dial, 47mm stainless steel case with black IP plating, 26mm black leather strap with red stitching and stainless steel buckle enclosure, chronograph movement with date window and 165 feet water resistance. Perfect for the fast paced lifestyle of today's man, each ESQ watch ships in a branded gift box and comes with a limited 2-year warranty. 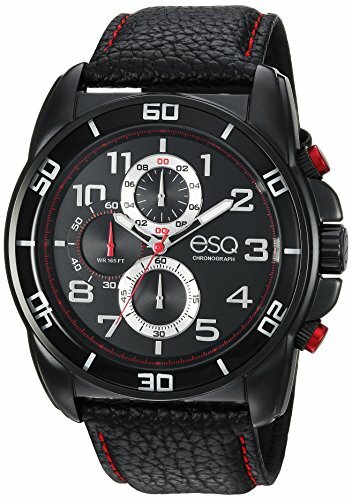 The men's ESQ 37ESQE192 chronograph watch features a textured black dial, 50mm stainless steel case with matching bezel, 24mm silicone strap with buckle enclosure, chronograph movement and 165 feet water resistance. Perfect for the fast paced lifestyle of today's man, each ESQ watch ships in a branded gift box and comes with a limited 2-year warranty.